Garden City, N.Y. — Join Milwaukee Brewers legend Robin Yount autograph signing event on Oct. 6, 2015 from 6:30 PM – 8:00 PM at the Steiner Sports Store in Garden City, NY. 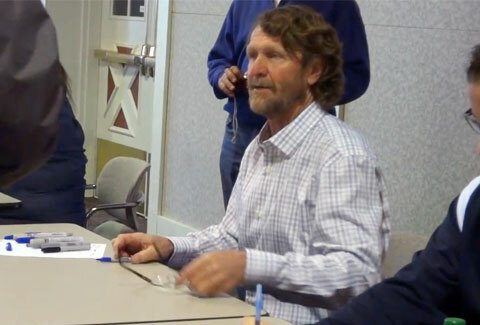 Robin Yount, nicknamed,”The Kid” and “Rockin’ Robin”, is a former shortstop and center fielder. He spent his entire 20-year baseball career with the Milwaukee Brewers (1974–1993). In 1999, Yount was elected to the Baseball Hall of Fame in his first year of eligibility.Since retiring from baseball, Yount has increased his participation in two of his other passions, professional motorcycle and auto racing. In June 2008, Yount announced the creation of a new all-natural lemonade drink, Robinade. A portion of the proceeds of the sales goes to charity. Yount Robin is a popular motivational speaker. To book Robin Yount for a speaking event, appearance or endorsement, contact PFP Sports and Celebrity Talent Agency.